Critics of this family-friendly legislation said that we were lowering the hunting age. But I want to be clear that we are not lowering the general hunting age. 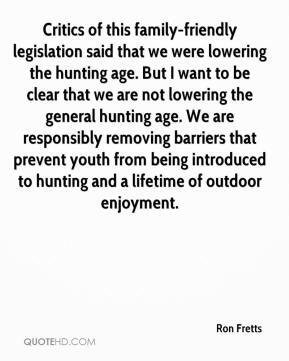 We are responsibly removing barriers that prevent youth from being introduced to hunting and a lifetime of outdoor enjoyment. We are excited about the possibilities of being able to take our kids hunting. 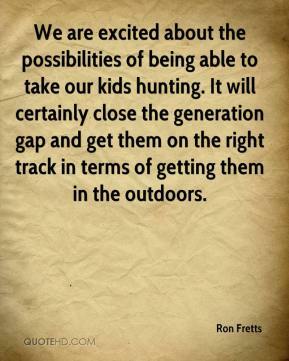 It will certainly close the generation gap and get them on the right track in terms of getting them in the outdoors.